Our passage from John’s gospel this morning contains in it one of the most famous lines in all of scripture. In John 3:16 we read “for God so loved the world that he sent his one and only Son, that whoever believes in him shall not perish but have eternal life.” A beautiful promise, the essence of scripture held in a nugget of good news. However, our passage says far more than just God’s love. It also seeks to explain how that love operates in the world and what our role in all of this is. In sending Jesus, God did not choose indifference. 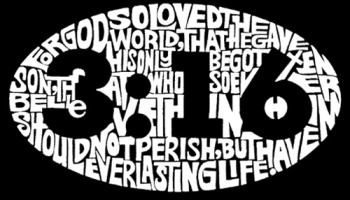 John 3:16 stands as one of the most well-known passages in scripture. It is a hard passage to ignore when preaching. It speaks so simply of God’s desire to love us and all of creation. However, we cannot simply focus on this one verse and ignore everything else around it. There is a lot going on in these verses and today I want to focus in on the verses which follow John 3:16 which deal with condemnation and judgement. While we might acknowledge that Jesus did not come to condemn, we do hear a lot of condemnation. Both in this passage and in our own lives. That those who do not believe in Jesus are already condemned. That light came into the world, but people loved the darkness so much because it hid their evil deeds. This passage comes with a beautiful promise, but also holds a dire warning. I wonder though, if all this might be a bit too simplistic. It seems to me that this passage, this collection of verses in John’s gospel allows us, as followers of Christ, to simply pat ourselves on the back and say job well done. As Christians we figure we are probably standing in the light of God’s love, we believe in Jesus, therefore we have the promise of eternal life. Case closed, sermon over, time to go home. While all that may be true, I find it too easy and lacking in substance. This is a passage about love, condemnation, judgment and our place in all of it. Primarily, it is a passage about Gods love, Gods condemnation and Gods judgment. Not about our own. Yet, when we read this passage we sit very smugly and securely in the knowledge that we are ‘probably’ alright. By sitting so smugly and securely we are casting an eye of judgment and condemnation on all those other people whom we judge to be unworthy of God’s love. Because we are in our own minds better than them or we see obvious flaws and sins and we condemn them for it. You’ve all done it and so have I. Why do we condemn others, but not hold ourselves to account? Why is it that we somehow feel that we are morally superior and not in the wrong? How does forgiveness fit into this passage? Because this is a passage about forgiveness, Jesus comes to save the world, not to condemn it. If the world needs saving, then forgiveness for whatever our failings are must be wrapped up in that saving. This is central to the Christian faith. Our faith is salvific, that God through the person of Jesus Christ takes our sin, the brokenness of our relationship with God, one another and creation and shoulders that burden so that we don’t have to. John 3:16 and the surrounding passages highlight this belief and highlight that God wants us to act openly and plainly, to live in the light. It is the gospel in miniature. The response we are so often called to make as Christians is to offer forgiveness and love, just as we have experienced it from God. It is not our responsibility to judge, God’s got that covered, our job is to offer God’s love to a broken and hurting world. Yet, this passage clearly brings into focus that there is evil in the world and that there are people who carry out this evil. That some people have chosen evil over goodness. In his commentary on this passage Professor Samuel Cruz writes, “There are quite a few challenges in this reading of the text. The call for Christians to make decisions about the evils of hate, exploitation, and oppression that surround us seems quite obvious and necessary to me as I write these sermon notes. “Can we really stay neutral in the midst of wrongdoing? It seems that John was letting us know that whether or not to believe in Jesus cannot be a neutral decision. Jesus demands a stance, which requires active decision-making. Neutrality and indecisiveness are not an option. To follow Jesus requires the courage to swim upstream against the strong currents that carry society’s brutal and sinful ideologies” (reference). Can we stay neutral in the face of wrongdoing? As a Christian is that even appropriate? What do the morals and ethics of our commitment to Christ require of us? Jesus was very clear about loving our neighbour and uses a parable where a stranger is in distress to make the point. Jesus was also very clear to illustrate that we are to love the meek, feed the hungry, clothe those who were naked and so on. To take such a stance requires that we not be neutral, rather as Cruz states that we have the courage to swim upstream against the strong currents of our society’s ideologies. “The opposite of love is indifference.” As Christians we are not called to be indifferent, we are called to love. Those verses after John 3:16 are all about our response to John 3:16. If Jesus came to save the world and if we follow Jesus, then our mission is to save the world. That means making decisions about the hatred, evil, exploitation and oppression that we see in the world. Make no mistake. Friends, what decisions do we make about hatred, evil, exploitation and oppression? Can we stay neutral in the face of wrongdoing? I don’t think so. This is part of what journeying with Jesus through Lent teaches us and prepares us for. How can we be part of a movement of hope? Yes, there are people who are bad or evil. Yes, they have done things that deserve condemnation, but the message of this passage is to offer love instead of judgement. Yes, we must stand in opposition to those who promote hatred, exploitation and oppression among other evils. However, if all we do is place blame then all we are doing is deflecting our own guilt. This isn’t about being better than your neighbour, this is about working with your neighbour to create a movement of hope. How we act, how we behave reveals hints of our character. If we stand in the light our character also reveals God’s character to others. For God so loved the world that he gave his one and only Son. May we also love the world, one another and God just as deeply. Amen.